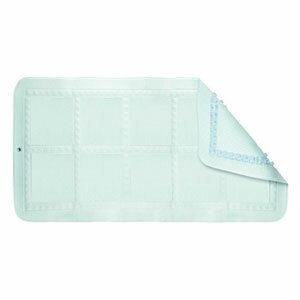 Shower and bath mats have long played a simple but essential role in the bathroom. The combination of large quantities of water, slippery surfaces and hard, sharp materials make the bathroom a particularly precarious room, perhaps unsurprisingly one of the most hazardous rooms in the house. These dangers, particularly the risk of slipping, are even greater for less able members of society such as the disabled, the elderly and children, all of whom are more likely to suffer from loss of balance and are also more vulnerable when falls do occur. Shower and bath mats, particularly anti-slip mats, provide improved grip and balance that can make all the difference for less abled individuals. Bath and shower mats are not only essential safety features of a bathroom, they also play an important aesthetic role. Mats can be used to soak up water from the floor as well as from the bather upon exiting the shower and are also a great way to attractively fill up the large blank floors of bigger bathrooms. Who should use a non-slip bathroom mat? 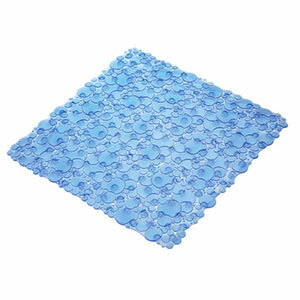 Firstly, rubber shower mats, which prevent slipping through suction cups on the underside, often used in domestic homes and commercial locations such as residential care homes to help the elderly. Alternatively, duck board shower mats, which are particularly hygienic due to their anti-microbial properties and are made from PVC. 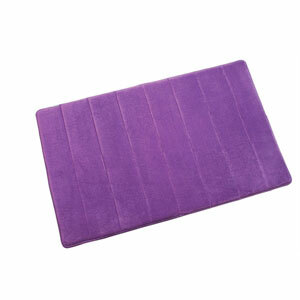 Both these shower and bath mats greatly improve balance, grip and prevent slip accidents in the bathroom. For over half a century, WENKO has taken an innovative approach to bathroom, kitchen, laundry and living items and has an extensive and colourful range of bath mats, anti-slip shower mats, shower tray mats and more. 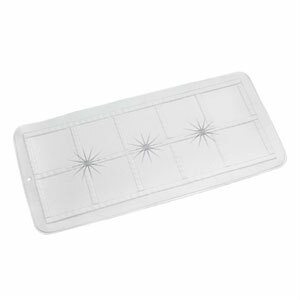 One of the UK’s leading suppliers of shower mats. 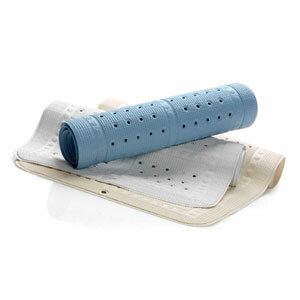 Croydex shower and bath mats are well made, practical and safe options for the bathroom. Experts in bath mats, shower mats and shower treads, SlipX Solutions is a US based specialist company focussed on providing safe and effective bathroom necessities to reduce accidents at home with many of their products sold in the UK. Founded as a small shop in 1993 in Holland Park, London, Cath Kidston is a seller of traditional English country style materials including charming bath and shower mats. Here at Midland Bathroom Distributors, we are proud to stock a wide selection of bathroom products and accessories. Our Birmingham based warehouse, the largest in the Midlands, carries a huge quantity of stock, more than what is displayed on the website so please do contact us if you cannot find what you need. If you need assistance or any more information then please get in touch at 0121 603 832, we will be more than happy to help you find the ideal solution for your bathroom.